I knew the program would be informative in nature, updating the community on how far the organization had come and where they’re headed, but I had no idea how entertaining it would be. 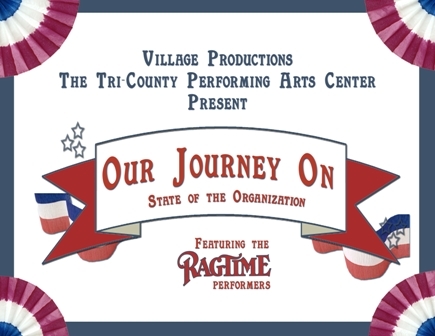 Musical selections from the upcoming production of Ragtime, The Musical alternated with information about the importance of the arts and the actual achievements of Tri-PAC, and the format was just right. In fact, it was downright fun. And inspiring, especially the voices rising in song, filling the main stage up to the rafters. Speakers included Bill Kiesling, singer & Spouse Extraordinaire; Deborah Stimson-Snow, Artistic Director; Martha McGeary Snider, PA Policy Advisor for Arts and Culture; Marta Rubin Kiesling, Executive Director; Jordan Shoemaker, student, singer, actress; and Tri-PAC board member and actress Lisa Waltz, a Spring Ford and Carnegie Mellon grad, now living and working in L.A.
What grabbed my attention at the start was Deborah Stimson-Snow saying, “There’s a kind of truth happening here… There’s an opportunity every day to do something true.” Yes – that’s what live performance is all about – an artist or group of artists sharing a search for some kind of truth with an audience. This is a noble thing. The social impact of the arts is now a well-documented phenomenon, and Martha McGeary Snider, Policy Advisor Arts and Culture for the Commonwealth of Pennsylvania, hit the high points. A strong arts presence can be a stabilizing force in neighborhoods, providing a common destination, a shared language and a place for diversity to flourish, which is exactly what’s taking place at the Tri-PAC. Educational offerings run the gamut, from children’s classes to voice, guitar, comedy improvisation, piano, dancing, directing, script analysis and group singing. There’s something for every one in every age group. In the end, it all comes down to personal responsibility. 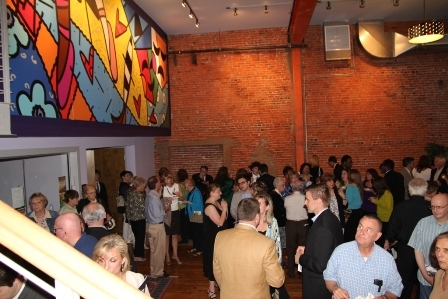 Strengthening the arts in your hometown is your civic duty. It also happens to be fun and uplifting. Sign up for a class. Volunteer. Get a group of friends together and see a show. A lively downtown will be the result of the artist, or audience member in each of us, coming out from behind the curtain, or taking our seat in the darkened theater, joining other human beings on a journey for some kind of truth. Note: More on Ragtime, The Musical in a future post. 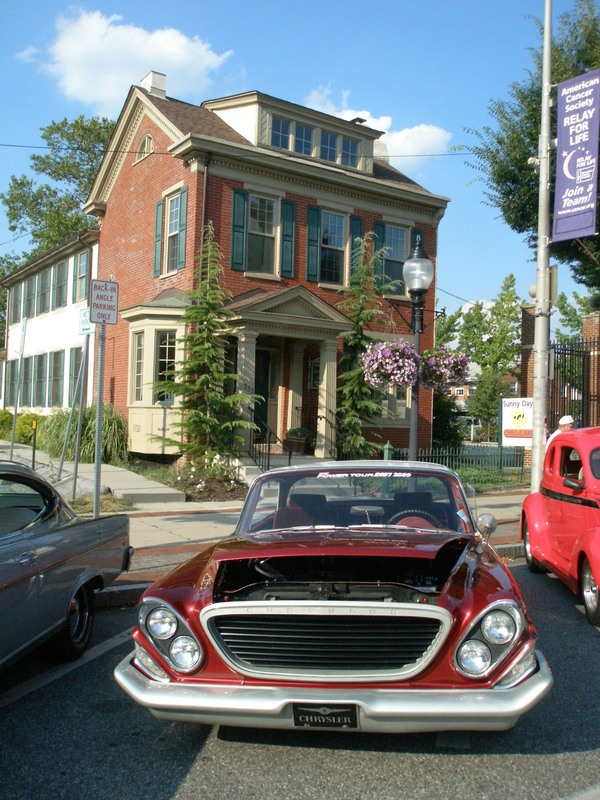 Subscribe to Positively!Pottstown or join on Facebook to enter a drawing for free tickets! lovely sue, i couldn’t be there but your prose is deliciously descriptive, i feel like i could see it, hear it and taste it! so happy you are writing this blog!